Trying to figure out a way to package your flight and hotel, while saving some money? The AARP Travel Center Powered by Expedia® can help you get everything you need, while saving you both money and some time. 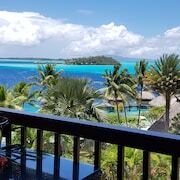 We're here to book everything you'll need to make your Bora Bora trip one to remember. With only a few clicks, you can choose the best vacation package for you. 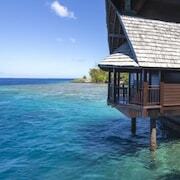 We have a fabulous list of flights and lodgings, and Bora Bora activities to pick from. 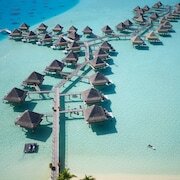 With 47 hotels and resorts in Bora Bora to choose from, you are bound to find one that meets your needs. We have great deals on everything from luxury hotels that meet all the vacation must-haves to inexpensive hotels which are great for those on looking to save. You can browse all the options and select the hotel that is perfect for you. With AARP Travel Center's Bora Bora hotel packages, you not only get a great rate on your flight, but also a wonderful place to stay. If you are looking for more, then head over to our "Things to Do" page for more inspiration or to book an activity in Bora Bora. As an AARP Member, you can cash in on all the great deals. You can save on select hotels worldwide, flights, and rental cars. No matter what vacation package you pick, your membership savings helps you get a great deal. So what are you waiting for? Book now and get ready for your Bora Bora vacation.